It’s that time again ya’ll, Ipsy’s October Glam Bag Showdown! This month’s bag theme is “Alter Ego”. It feature’s a two sides bag; one side is gold and the other side black vinyl. This bag is glam and vixen all at the same time. 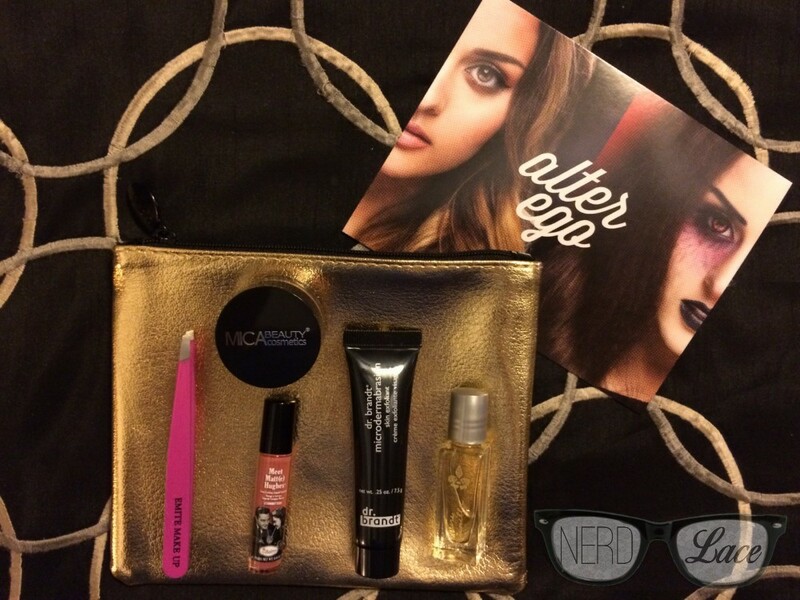 What did you guys think of your Ipsy “Alter Ego” October Glam Bag? Share your bags and thoughts with us below or on social media by using hashtag #nerdandlace. Also, follow us on Instagram, Facebook, Twitter, and Pinterest. Not an Ipsy member? Click here to join. Totally wish I had received that Laura Geller blush! I’ve been using it every day. It’s beautiful.